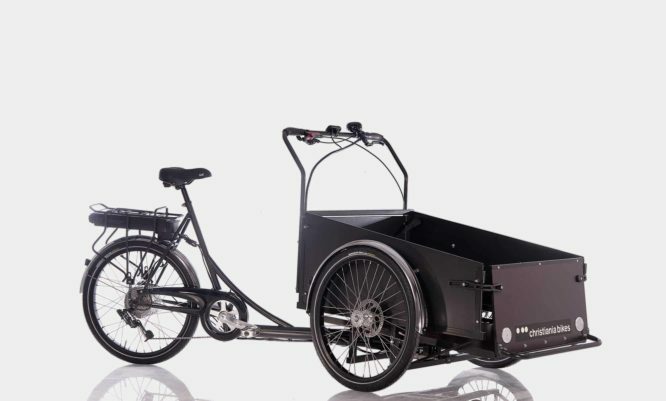 The 2wheeler can either be delivered without a box or with our danish hand made boxes with or without a side door. 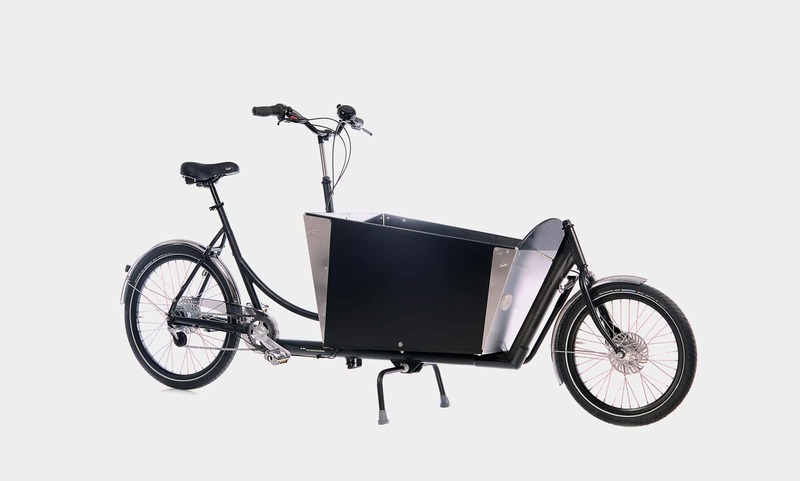 We offer various gear systems and electric systems so you can customise the cargo bike for specifically your purpose. Click on the various systems to find the best system for you. 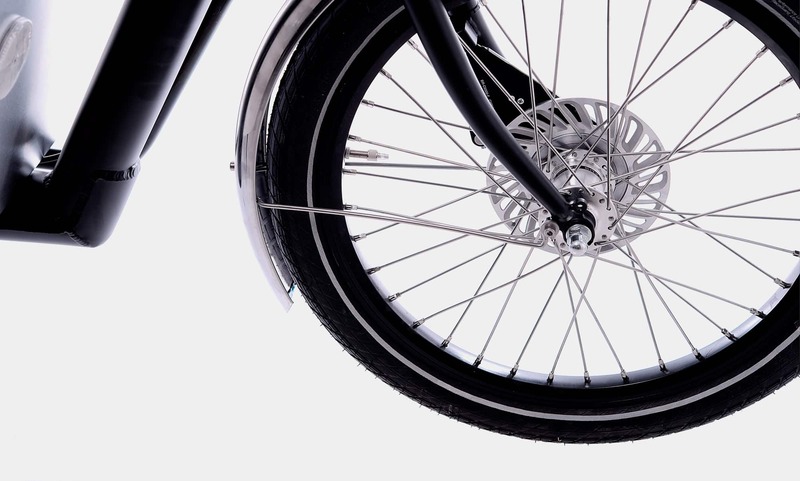 As standard, all these systems include a Shimano roller brake on the front wheel. 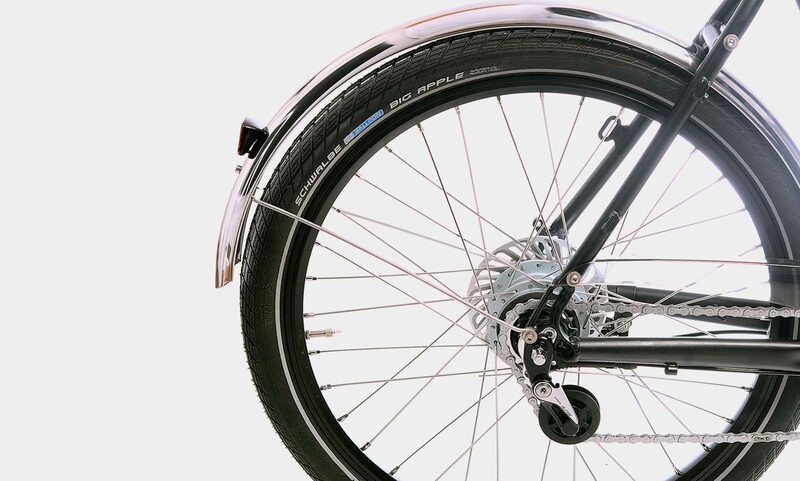 It is possible to mount a hydraulic brake on the front wheel. 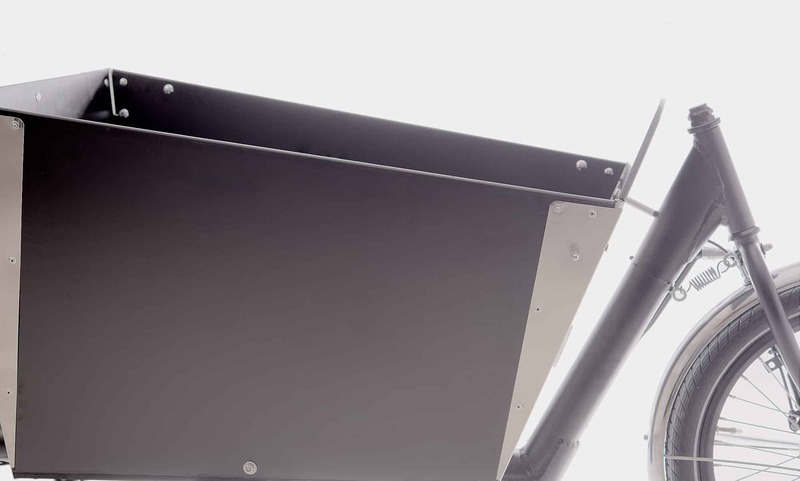 The model is delivered with our roller brake system, which require minimum maintenance. 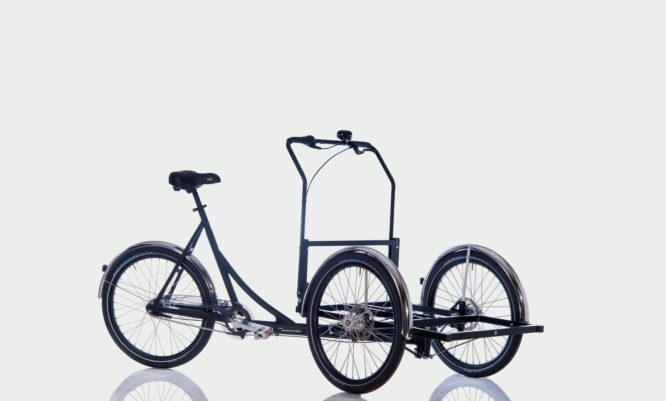 Instead of this system, the 2wheeler can also be delivered with our hydraulic brake system, which is a more powerful brake system. 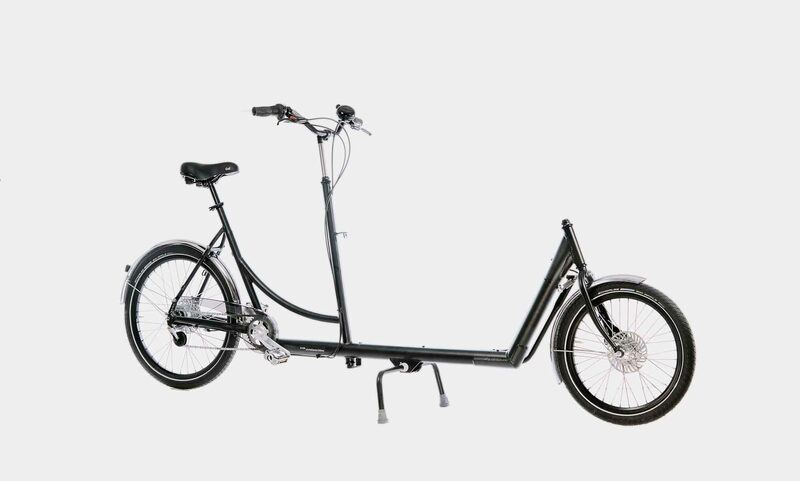 We offer two types of handlebars for the 2wheeler. Please notice, the flat handlebar is not compatible with the Bugatti hood. 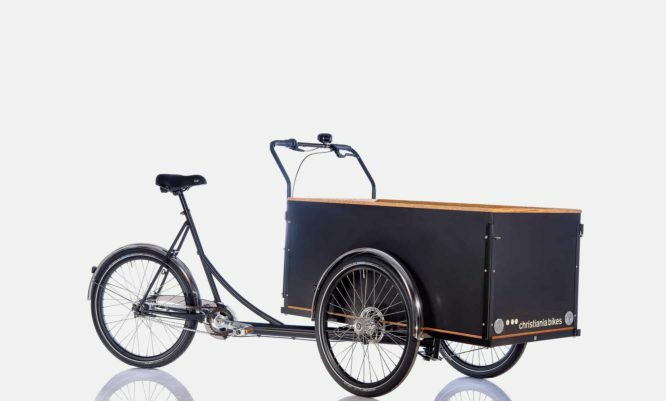 The 2wheeler is an easy to ride, modern transport bike. 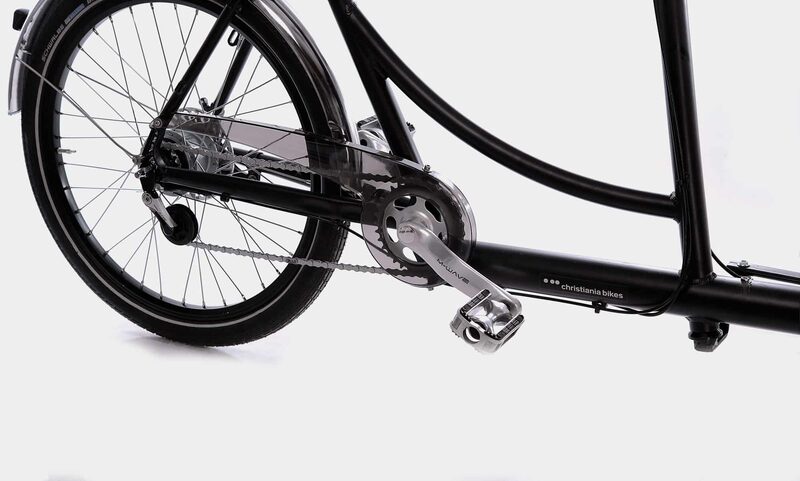 It is equipped with 8 gears with roller brake. Special features for children’s transport include an elevated and rounded front edge to shield the headset. 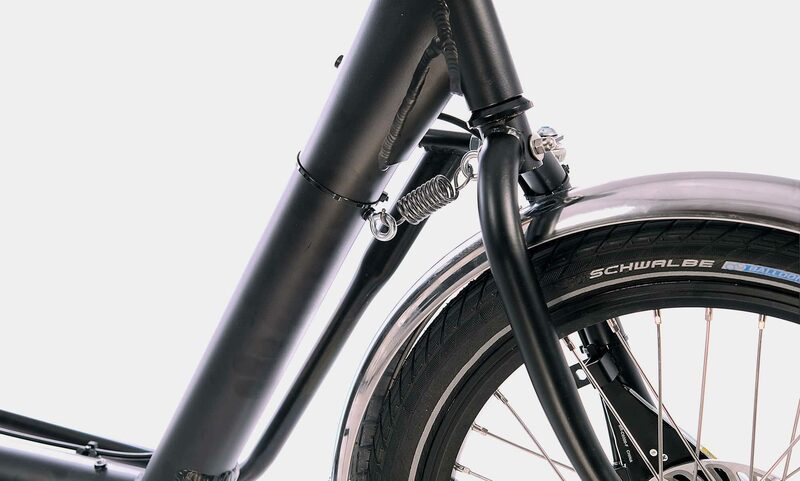 There is a choice between riser and straight handlebars. nternal dimensions: bottom: 63 x 38 x 40 cm top: 87 x 58/46 cm +/- 0.5 cm. 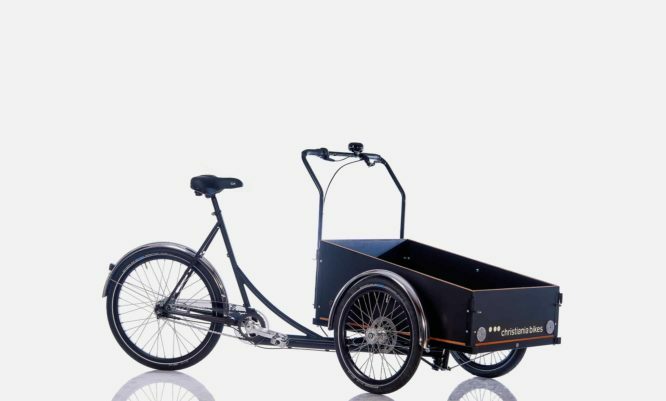 Made in Denmark, wheel size: 24"/20"